This is the perfect wedding for a Friday afternoon. It’s at a pub for starters! And not just any pub, the beautiful Fleece Inn, Evesham is simply divine. 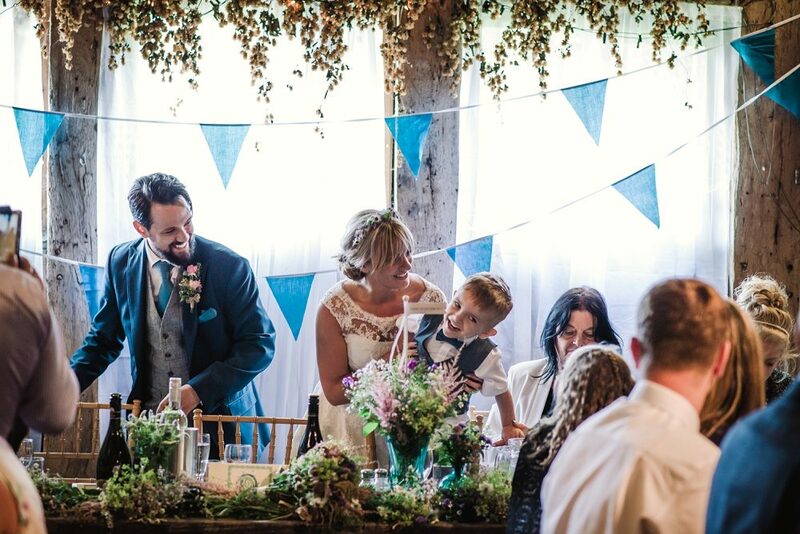 With gorgeous gardens, an early 15th century barn, bequeathed to the National Trust in 1977, a stunning oak beam as a centre piece with hops and a large iron chandelier adorned with lanterns – it really is the perfect setting for a relaxed, rustic wedding. So relaxed in fact, that Groom Matt wore his trainers – which we are ALL FOR. 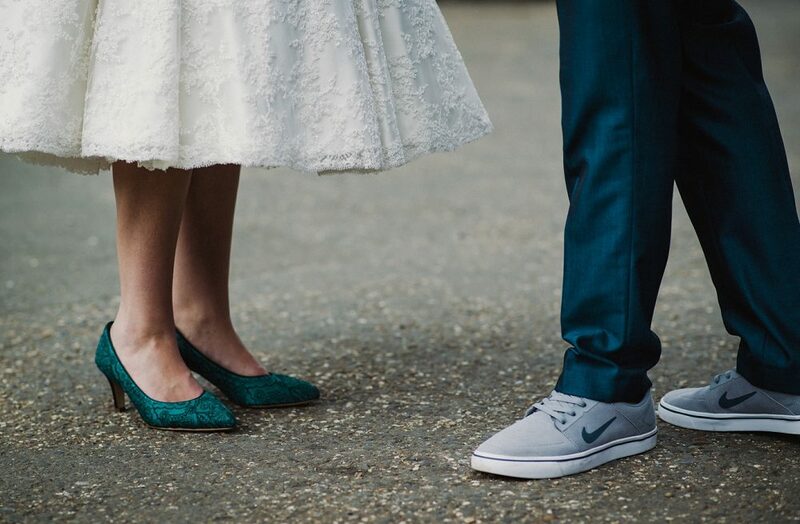 There’s absolutely no reason why your Groom should feel they have to wear dress shoes on the big day, if trainers are his style, then let him go for it. We think Matt still looks pretty dapper and actually his look really complements Nat’s shorter gown and those gorgeous green shoes. It’s just a beautifully styled, happy celebration of love, which is exactly how a wedding should be! Nat the Bride: My dress was designed and made by Tracy at Chanticleer Brides. It was the first shop I went into and the customer service was outstanding. I knew I wanted a 1950’s dress and I tried on two in the shop, I liked the top of one and the bottom of the other and Tracey offered to make one dress combining the two, which was perfect! It was ivory and all lace with little satin buttons down the back which I loved – the back was equally as beautiful as the front and I was over the moon with it, it captured the 1950’s vintage look which I wanted but was also relaxed and summery which went perfectly with our wedding style. In terms of accessories, I had teal shoes to match the colour of the bridesmaids’ dresses; they were also ordered from Chanticleer brides and were made by Rainbow Club. They were originally ivory but were dyed the exact colour I wanted by Rainbow Club. I wore simple jewellery as I felt my dress was a statement in itself, so I wore two teal bracelets and of course my rings. I was indecisive about my hair accessory but knew I wanted flowers of some kind. I decided to email my florist Amanda Freebairn at Passion Flowers in Worcester to see if she could help, she was wonderful and made me a wild flower headband using flowers from my bouquet. It was beautiful; it completed my look perfectly and was in keeping with our rustic wedding feel. 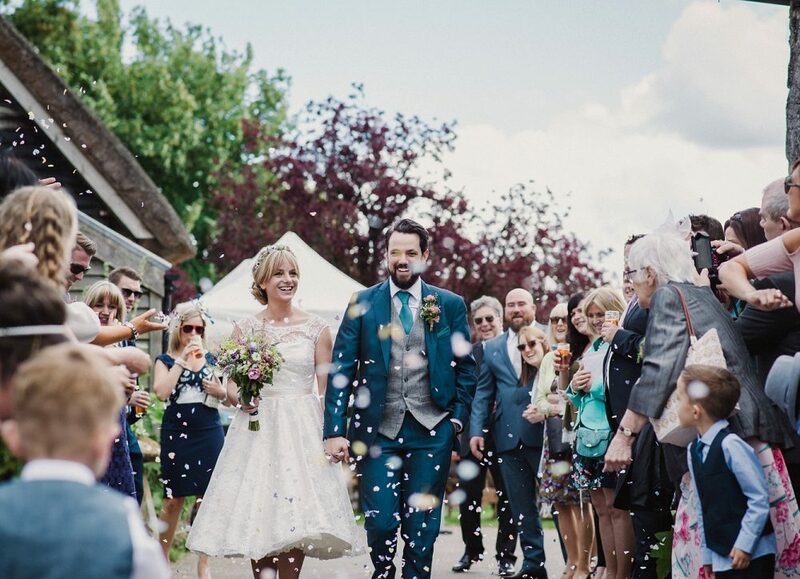 Matt the Groom: I really wanted a blue tweed 3 piece suit for our special day but quickly realised that it was going to be in the middle of summer. 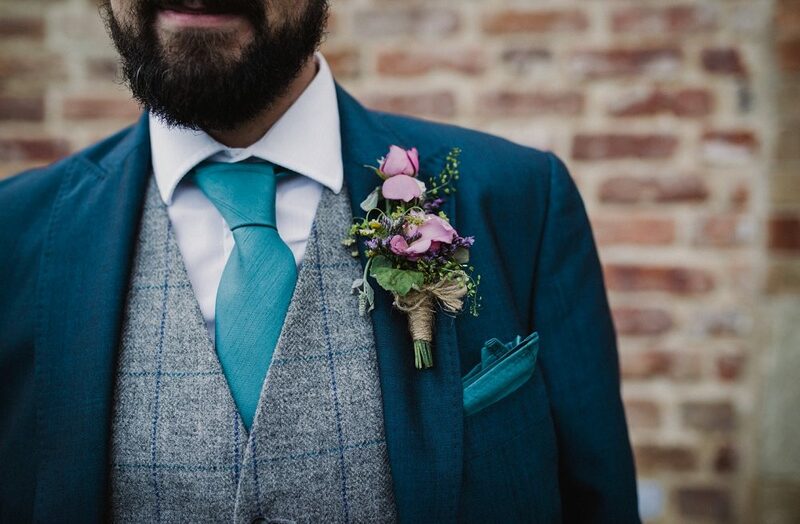 My brother-in-law who is a tailor pointed me towards Peter Posh that specialise in wedding suit hire and have an option for a teal coloured suit where you can add tweed waist coats. I finally decided to go with the teal suit and added a grey tweed waist coat with a slight bluish check stripe going through it. I was advised to wear a brown brogue to set off the suit for the occasion. I am not really a brogue person but searched high and low anyway. After days of searching I finally admitted to my wife to be that I hated every brogue I saw. She asked me what I wanted to wear and I replied trainers, her immediate response was wear trainers then so I set to work in search of a pair. Within about 15 minutes I found some cool grey suede Nike trainers on the Schuh website which really complimented the tweed waist coat that I had chosen for the suit. My best men were a bit dubious before the wedding as they felt shoes would be better but later admitted to me at the wedding at it was a “Matt” thing to do and therefore was a good choice. 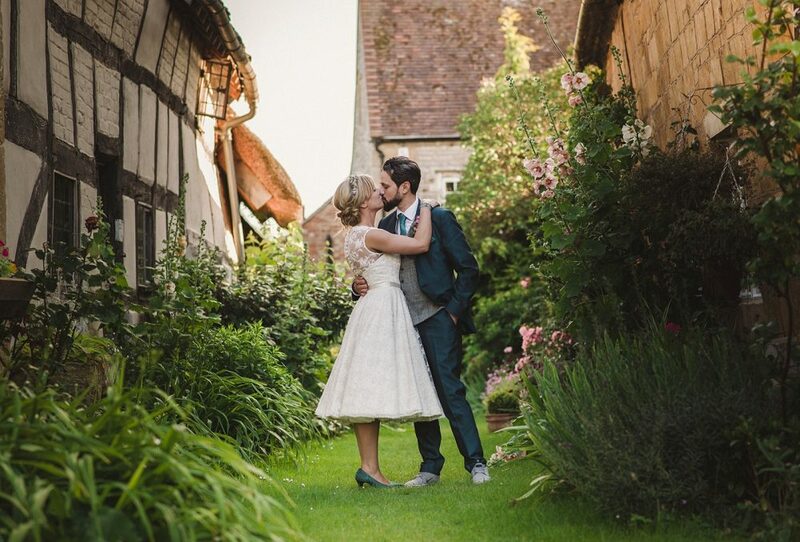 We knew that we wanted a small wedding in a rustic English setting such as a barn. We went to look at a couple of barns and although they were lovely they were very modern inside which is not what we wanted. 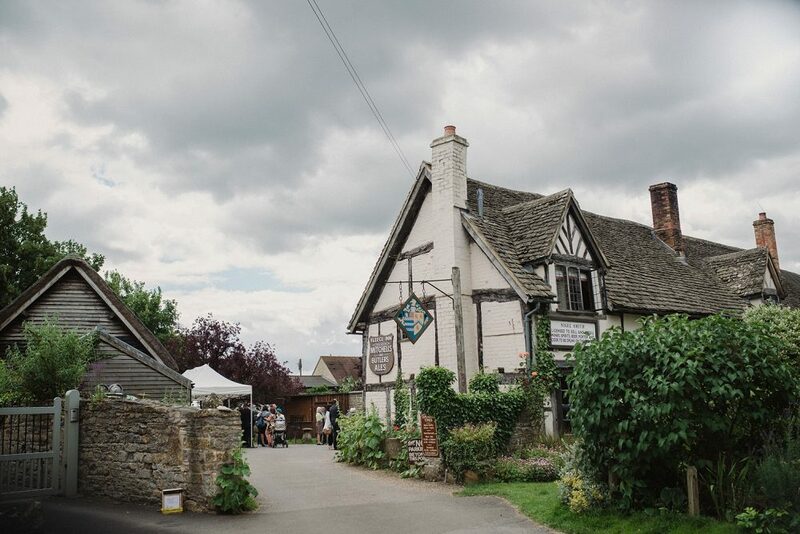 The Fleece Inn at Bretforton, Evesham was recommended by my maid of honours’ mother so we went to have a look. As soon as we walked into the garden we instantly fell in love with it, and when we were shown the barn we just knew it was right for us. The barn is from the early 15th century and bequeathed to the National Trust in 1977. It features a large oak beam as a centre piece with hops and a large iron chandelier with lanterns. It’s stunning and very intimate which is what we wanted. Attached to the barn is a large garden with benches, apple trees and a small park which was ideal for the children….and the groom and best men! 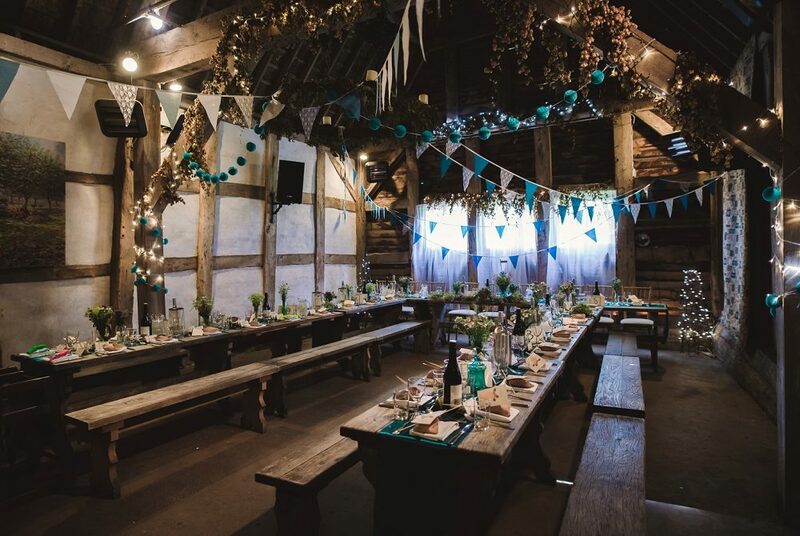 Staff at The Fleece not only decorated the barn for the ceremony, but also changed the barn around to make it the venue for the wedding breakfast, and then again for the evening reception without us even noticing! And also with the venue comes the amazing wedding organiser Sara Springett who made the whole experience enjoyable and stress free – she literally took care of everything! The colour scheme for our wedding was a mixture of teals, greens and blues. As we didn’t want to overshadow the beauty of the venue we kept the decoration minimal, which actually worked in our favour and in our…budget! We managed to get a variety of different bunting that totalled to over 250ft for a very good price. Fairy lights wrapped around the beams and in the trees were supplied by the venue and made it look magical. We had teal table runners which were in keeping with our colour scheme. As there were children attending the wedding we sourced an old vintage suitcase and filled it with striped white and teal paper bags containing sweets – red gummy hearts. We bought a big metal bucket for our cards and gifts. All of the above was found and bought from our best friend eBay, excluding the sweets which were purchased from tradesweets.co.uk. We had no idea of what to do for our table plan, until one day we sat staring at an old mirror which we didn’t know what to do with! We decided to use it – to create the table plan we simply printed table numbers and names onto good quality ivory card and stuck them onto the mirror in the shape of the layout which was a u-shape. We used vintage 1940’s ivory ribbon to surround the frame of the mirror. This looked surprisingly effective and we were really happy with it! Matt’s sister and now my sister in-law Laura strongly recommended Amanda Freebairn at Passion Flowers Worcester as she said she is very talented and reasonable in price. We are so glad we took her advice! We couldn’t have asked for more from her, we went to see her with a very relaxed attitude to what we wanted – all we knew is that we liked wild flowers. We described the wedding style, the venue and the table layout and she seemed to completely understand us and what would work. 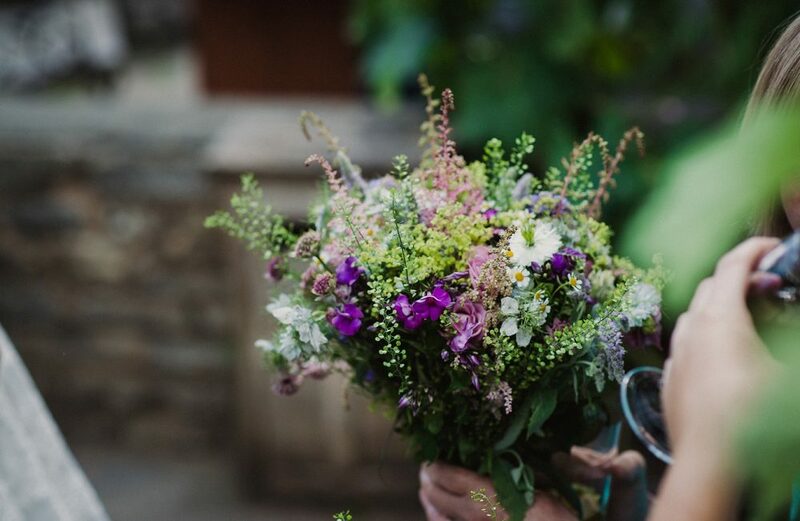 She gave us a general idea which was exactly what we wanted, suggesting different bouquets for me and each bridesmaid and a variety of jars/vases containing differing volumes of wild flowers within them. She also provided button holes which were all individual comprising of sprigs of wild flowers. In terms of the jars/vases she advised us on the quantity that we would need and said she would gladly supply them but gave us the opportunity to provide our own if we wanted them to be particularly unique. We decided to collect our own which again came from our trusty friend eBay and our new friend Ikea! They were a collection of vintage vases, jars and teal, blue and green glassware. Amanda organised the flowers into these and added decoration to them using material from a spare bridesmaid dress that was no longer needed due to my maid of honour being pregnant! Also provided by Amanda at Passion flowers was my beautiful wild flower headband, as referenced earlier in the bride section. We were indecisive on the type of cake we wanted, all we knew is we wanted it to be simple and summery! Neither of us like icing, so after lots of internet searching we stumbled upon something called a naked cake. It looked beautiful and in keeping with the style of our wedding – very rustic and surrounded with summery fruits. We booked a consultation at Rachel’s Cakes in Worcester where Rachel gave us some good advice and some delicious cupcakes! She was very relaxed and helpful and offered to supply and deliver our naked wedding cake for a reasonable price. We wanted to add a little piece of our character and humour to the cake, so for the bride and groom at the top we used our son Billy’s toys – two model characters from a ‘happyland’ toy set that he calls Mummy and Daddy as they have the same colour hair as us! We felt this gave our cake a finishing touch! Well what can we say about our photographer, other than wow! 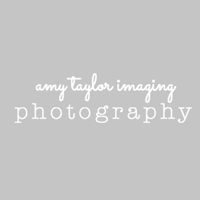 After lots of searching for the perfect person to capture our wedding we found Amy Woodward-Taylor’s website. What drew us to her initially was how her pictures looked so natural and effortless, so we booked an appointment to go and meet her and as soon as we did we knew she was the right person for us. We clicked with her instantly, she has such a warm friendly nature and we soon found out that she has a wicked sense of humour to go with it! She took the time to find out what sort of people we are and what we wanted from our wedding pictures and showed us her work which was all amazing. We were very happy that we found her and extremely lucky that we managed to book her. A pre-engagement shoot was included in our wedding package which was lots of fun, and the photos were fantastic. On the big day she exceeded our expectations, she was the calming influence to anyone that was stressed (especially us! ), she entertained the children and she made having your photograph taken a million times seem easy – having her capturing our perfect day was like having a friend doing it. Basically if you want a wedding photographer in the West Midlands she’s your gal! The band were phenomenal, they are called the Boogie Brothers and were sourced through Entertainment Nation online. They arrived bang on-time and put their all into the performance. You know it’s a good band when the dance floor is full immediately after the first dance and it stays that way all night! They sang our first dance which was ‘Wanna Grow Old With You’ from the film The Wedding Singer and they outdid the original! Even now people are commenting on how good they were and whether we knew them! Great playlist, good variety of music and all round fantastic! For the bridesmaids I didn’t want traditional bridesmaids dresses, I wanted something more fun and stylish and something the girls would actually enjoy wearing! I love the look of 1950’s Hepburn dresses and as teal was in our colour scheme thought it would be brilliant if we could find some that were that colour. I found teal polka dot dresses on a website called Black Butterfly and the girls loved them! The look was completed with a petticoat, ivory ribbon belt and shoes with pearl jewellery which gave them that 1950’s girlie glamour. The best men were styled the same as the groom excluding the waistcoat. They too wore trainers which as mentioned previously. We had a civil ceremony that was small and intimate. We decided not to have any readings as we wanted to keep it as relaxed as possible as that’s the sort of people we are. The song that Nat walked down the aisle to was ‘Heartbeats’ by Jose Gonzalez, we had an instrumental version of ‘Thinking out Loud’ by Ed Sheeran for signing the register and we walked out after the ceremony to ‘Best day of my Life’ by This American Authors. It truly was the best day of our lives! We weren’t keen on the idea of a traditional wedding breakfast, we wanted something more informal and in keeping with our summery celebrations. We opted for a BBQ which The Fleece were happy to provide, there was a range of delicious food such as burgers, chicken, sausages, chips, roast potatoes, salad and corn on the cob, everybody was really happy with having a varied menu and being able to help themselves, particularly those who opted for seconds! The Fleece catered for Matt’s sister Laura who needs a gluten free diet and she was very impressed with this and the choices of food which were available for her. We also decided to have a children’s menu which the kids and parents were grateful for! The Fleece advised us that they would be lighting a fire in a fire basket in the evening of our wedding, so we thought to design the favours around this feature. Matt is the creative one and he came up with the idea of having marshmallows in little hessian sacks with a wooden skewer accompanied with them. All this was obtained once again from eBay aside from the marshmallows which were bought from tradesweets.co.uk. With this Matt created little tags with a fire and marshmallow design to indicate what the favours needed to be used for, they also had Matt and Nat Sowney and the date of the wedding to personalise them. My hair and makeup was by the very talented Let Lew at OneTwoSix Hair Evesham. He was highly recommended by a friend and I can definitely see why! He is stylish, creative and very approachable, he has a relaxed attitude which puts you at ease and was particularly helpful on the day when I was stressed! He listened to what I wanted and got a feel of the style of the wedding and who I am as a person, I wanted my makeup to be very natural but sophisticated and he captured that perfectly, when it comes to the hair he asked me lots of questions about what I wanted, and when I walked into the salon he had already worked on a model and had created a style based on my input – it blew me away and I really appreciated the fact that he had put so much hard work into creating a style that I could see before it was done to me. He is very exceptionally gifted in his trade and I would recommend him to anyone. Wow I would like a wedding like this how much is it ?